Superdry men’s Snow pants from the Superdry Snow collection. The pants come with zip and popper fastening, waist adjuster straps, innovative leg length adjusters in the pockets, zipped hems with boot gaiters with boot clips and thigh vents to provide a comfortable fit when on the slopes. The pants also have a full insulated lining combined with fully taped seams and snow seals that help keep you warm and dry. The Snow pants have three front zipped pockets, two back pockets and a two handy thigh pockets with hook & loop fastening. 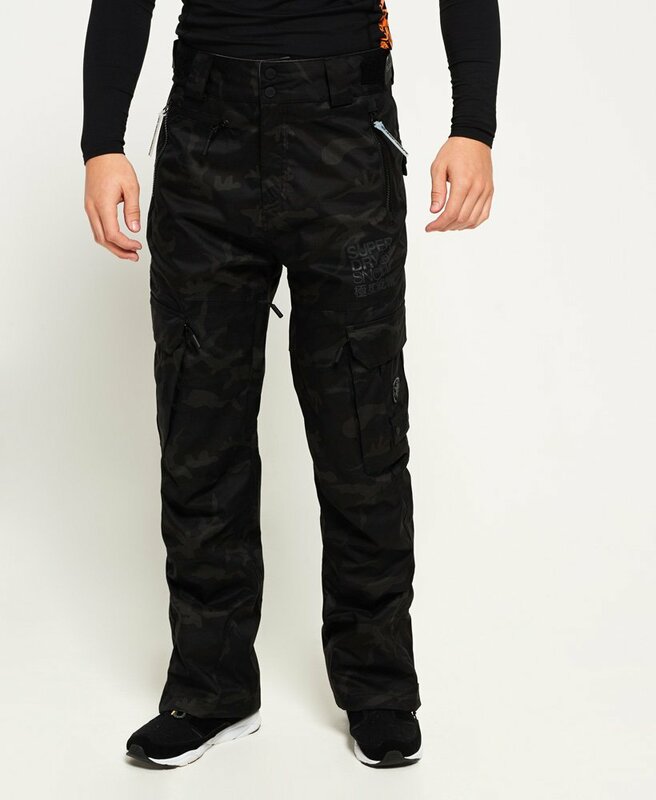 The Snow pants are finished with branded zip pulls, a Superdry Ski tab on one back pocket, Superdry Snow prints on the upper thigh and back of the leg and a snowflake patch with a Superdry badge on the thigh pocket.